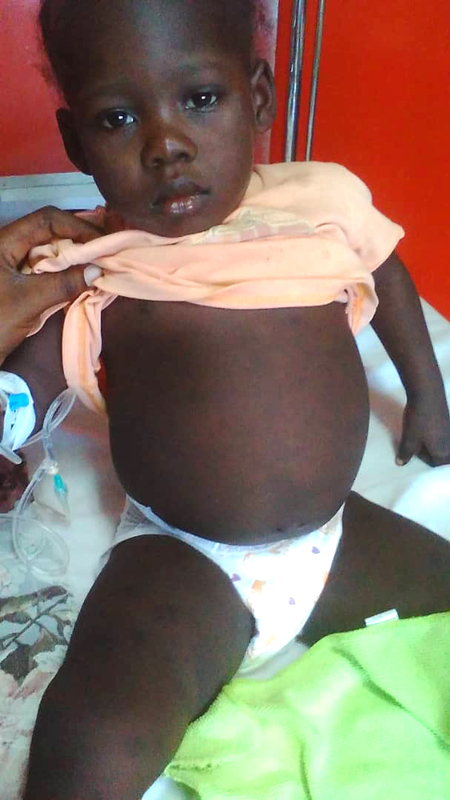 Little Cherika was a somber toddler with a swollen belly and an impossible situation. Last summer, Cherika was looking forward to starting preschool at the Yellow Iron School of Light Preschool until a deadly tumor was found intertwining itself around one of her kidneys. Immediate intervention was needed. Family, friends, and strangers banded together to act on behalf of the young life. Going before them was the Holy Spirit, intent on showing the Heavenly Father’s glory and power in this terrifying situation. Read below as Liz Clarke, MH4H Education Manager, testifies of God’s goodness. Cherika (pronounced Share-ee-ka) is a 3 year old Love in Action (LIA) participant who comes faithfully to the First Thousand Days Program with her grandma. August 2018, during a regular health check with the LIA nurse, the cancer was spotted. Cherika’s abdomen, which had always been quite big, developed a larger hard spot that was very warm to the touch. Knowing Cherika needed to be seen by a doctor, the MH4H staff sent her to be consulted by a doctor in Pignon. From there she was referred to the hospital in Hinch (a town 45 minutes south of Pignon) where a biopsy was done. As primary caregiver, it was Cherika’s grandmother who walked with her through this process. At the time, Cherika was weeks away from starting her first year at the Sylvain School of Light Preschool. Her teachers and classmates would keenly feel her absence when the first day of school finally rolled around and Cherika was too sick to attend. The entire process was frightening and overwhelming for Cherika’s family who turned to Many Hands for advice and support. 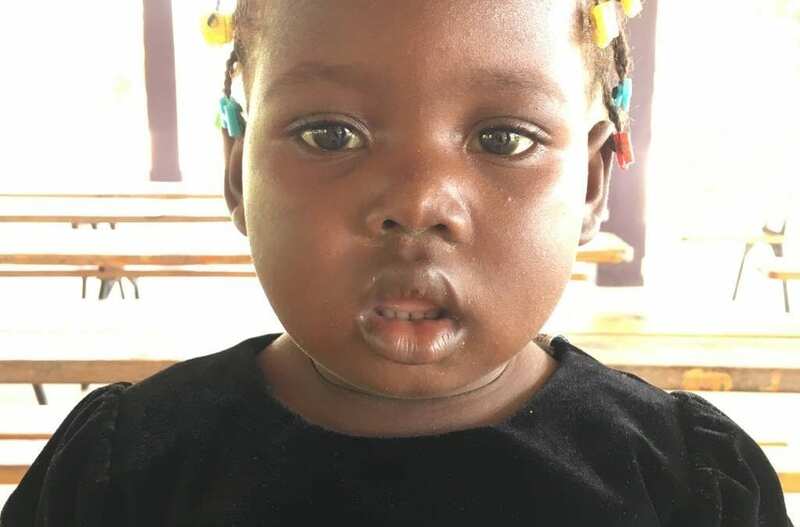 The MH4H staff put the word out about Cherika’s situation; through these reports, God touched several people’s hearts to cover the miscellaneous costs of the various tests and transportation fees involved in Cherika’s journey. After the biopsy in Hinche revealed Wilms’ Tumor, Cherika was referred to St. Damien children’s hopsital in Port-au-Prince where this type of cancer could be treated right in Haiti! “Wilms’ Tumor” is the diagnosis in 90% of children’s cancer cases and most often affects children around ages 3-4. St. Damien is affiliated with St. Jude’s hospitals; the Oncologists there are trained and receive ongoing support from the St. Jude staff. What an amazing miracle as almost all of their services are FREE! St Damien Hospital in Port au Prince is the only hospital in Haiti which treats childhood cancer. Cherika’s treatment started October 22, 2018 and (as of April 2019) is still in progress. 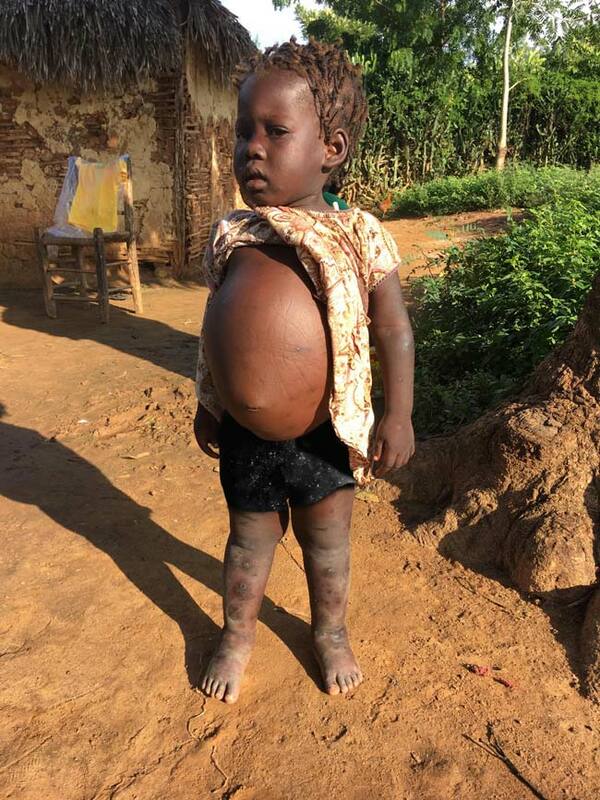 On December 11, 2018, a successful surgery removed the majority of the Wilms’ tumor. However, more chemo and radiation treatments were needed to continue Cherika on her journey to being cancer-free. 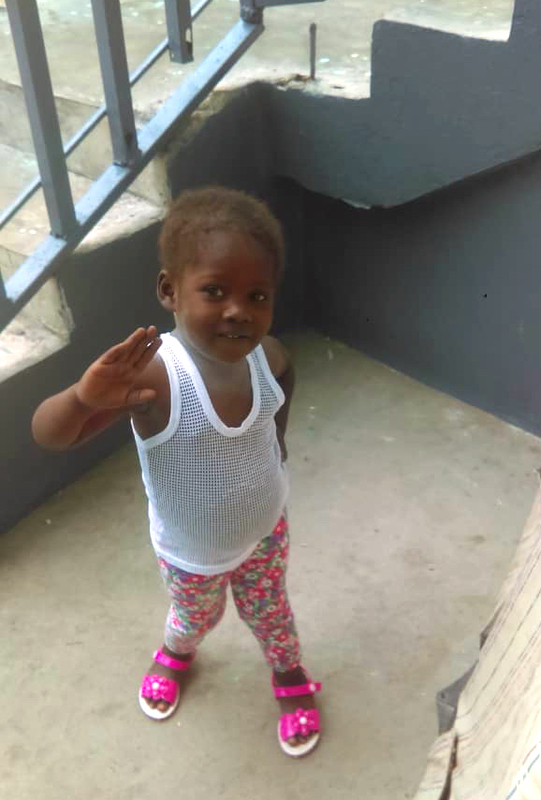 During this time, Cherika’s mother left Cap Haitian to join her in Port au Prince to take her place as the primary caregiver. Grandma has other children at home in Sylvain and could not leave them for the duration of time necessary. 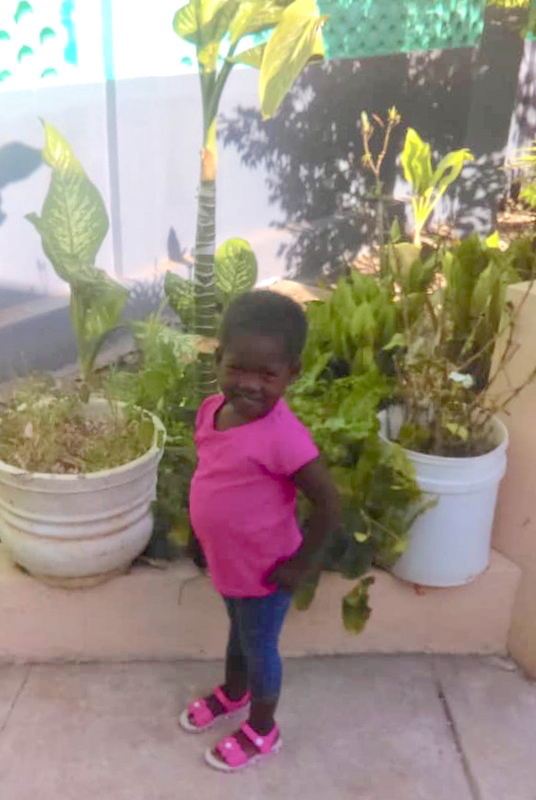 Knowing it would not be good for Cherika to travel back and forth from Pignon between treatments, staff at St. Damien’s organized housing for Cherika and her mother for the duration of their stay. The housing is called “Hands of Charity” and serves similar to a Ronald McDonald home. 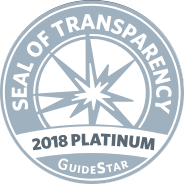 It is available for patients from many hospitals all over the city. As a Catholic institution, the Hands of Charity home offers daily masses to the patients. Cherika and her mother attend everyday and Cherika loves to worship. 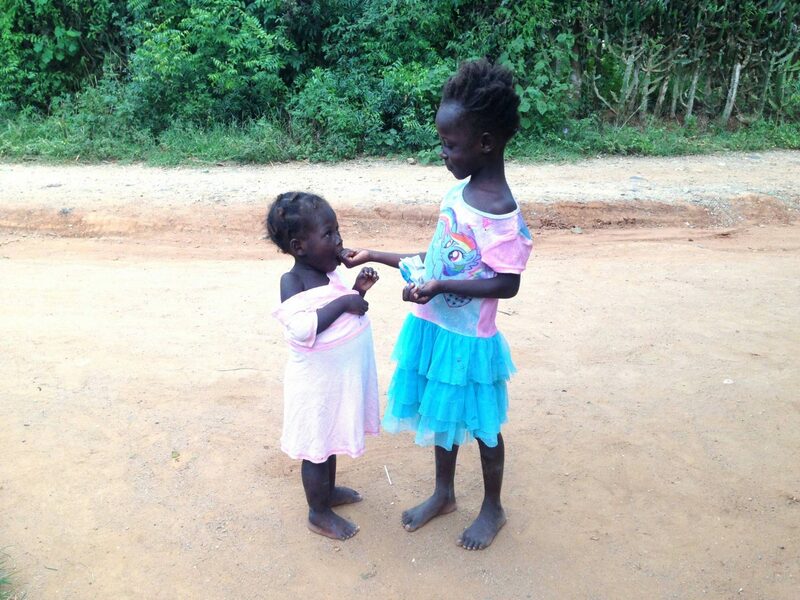 She prays everyday and loves to sing and dance! Cherika also loves to eat. Her mother often refers to her as “aloufa” which is a Creole term meaning ravenous. (It may more accurately be translated “little piggy/porker”!) We are just happy as her healthy appetite has returned, which is a very important step in the recovery process. Until she became very ill, she was a good eater. But she was never happy. In the year and a half that I (Liz Clarke) knew her, I never once heard her voice or saw her smile. It was for the first time after a few months of treatment that she was willing to talk to me on the phone and the sound of her sweet little voice is one I will never forget! “Mwen byen!” (I’m well!) she joyfully responds when asked how she is doing. This week Cherika will have her last chemo treatment. From there, she is scheduled to travel to the Dominican Republic (D.R.) where she will receive radiation therapy at a sister children’s hospital to St. Damien. 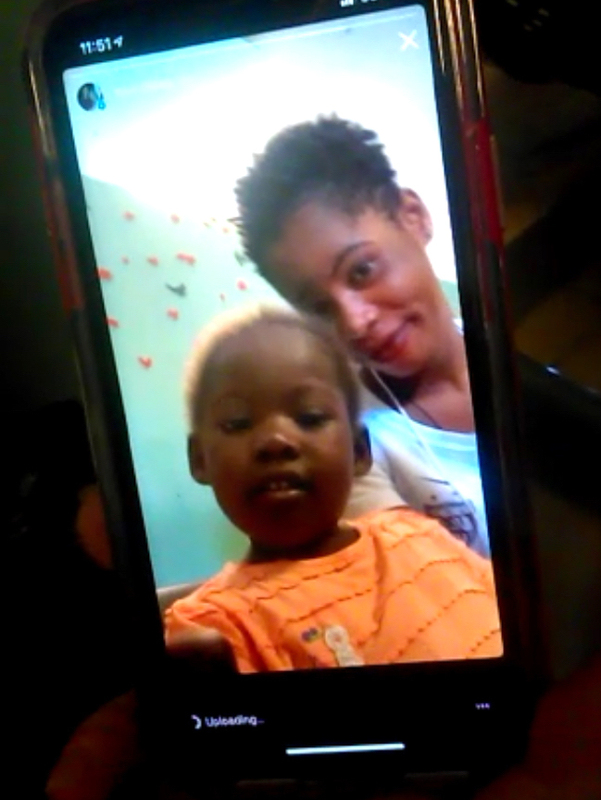 The process is currently at a roadblock as Cherika’s mother does not have the correct documents she needs for a Passport so she can accompany her daughter to the D.R.. This is a major prayer point and concern. All the glory goes to God alone as we rejoice in how far Cherika has come! Without His work through our programs and staff, little one’s like Cherika would fall between the cracks. But thanks to Love In Action sponsors, other generous donors, and an army of Believers standing to battle this sickness through prayer, financial donations, and other acts of service – there is a little girl with a fighting chance at a full life, there’s a single mother hearing the Good News of the Gospel on a regular basis, and there is a community of people to stand witness to the goodness of our mighty God in Heaven. Praise Jesus!